Although gas fireplaces require a lot less maintenance than other types of fireplaces, it is still necessary to get your gas fireplace serviced and inspected regularly in order to keep your fireplace in good working order and your family safe from any potential harm. 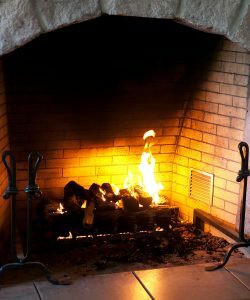 Just because your gas fireplace is not creating excess amounts of creosote that will build up in your chimney and create problems doesn’t mean that your chimney doesn’t need to be checked and maintained, at least prior to the burning season in Dallas. Gas fireplace service could potentially safeguard your money and family by preventing possible problems from coming to fruition. Soot is not the only thing that can cause ventilation problems in your chimney and fireplace. If the glass in front of your fireplace is letting in air because it isn’t properly sealed, you can experience quite a few problems. The wood and glass inside your fireplace can become extremely dirty very quickly, causing the burner ports to become clogged. You also will not have the appropriate ratio of gas and air in the fireplace, resulting in either high energy bills or an ineffective flame. A leak around the glass of your fireplace will also allow unhealthy amounts of carbon monoxide to seep into your home, increasing the chances of your family being exposed to those deadly gases. Not only does the fireplace need to be inspected to ensure that the ventilation is correct, but your chimney should be checked as well. Gas fireplaces allow for moisture to accumulate in the fireplace and chimney, which can sometimes cause the chimney to deteriorate and function improperly. There could also be insects or other small animals calling your fireplace or chimney home while you are not using it. It is crucial to remove any and all blockers from your fireplace and chimney to allow it to work as it should. Proper ventilation also helps to decrease chances of a house fire erupting because of your gas fireplace. Always treat your fireplace and chimney with respect and care before lighting your fireplace. It is better to check and inspect just to find everything in good working order than to skip a few steps and have to pay for the consequences later. 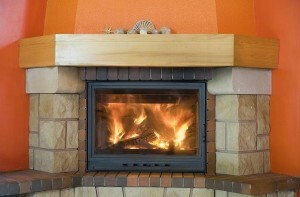 All manufacturers advise that you get your gas fireplace serviced prior to the burning season. Getting your fireplace and chimney inspected annually will help you to find problems and issues before they become catastrophes and help you to resolve those potential dangers without resulting in any real harm to you, your family, or your home.